742-0612 BLADE 14.88"LG. for 600 series (R... / 190-118-000 (1997) / Basic machine / BLADE 14.88"LG. 742-0612 BLADE 14.88"LG. for 600 series (R... / OEM-190-118 (2005) / Basic machine / BLADE 14.88"LG. 742-0612 BLADE 14.88"LG. for 600 series (R... / OEM-190-118 (2004) / Basic machine / BLADE 14.88"LG. 742-0612 BLADE 14.88"LG. for 600 series (R... / 190-118-000 (2003) / Basic machine / BLADE 14.88"LG. 742-0612 BLADE 14.88"LG. for 600 series (R... / 190-118-000 (2002) / Basic machine / BLADE 14.88"LG. 742-0612 BLADE 14.88"LG. for 600 series (R... / 190-118-000 (2001) / Basic machine / BLADE 14.88"LG. 742-0612 BLADE 14.88"LG. for 600 series (R... / 190-118-000 (2000) / Basic machine / BLADE 14.88"LG. 742-0612 BLADE 14.88"LG. for 600 series (R... / 190-118-000 (1999) / Basic machine / BLADE 14.88"LG. 742-0612 BLADE 14.88"LG. 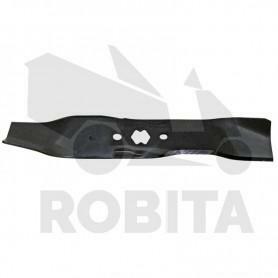 for 600 series (R... / 190-118-000 (1998) / Basic machine / BLADE 14.88"LG. 742-0612 BLADE 14.88"LG. for 600 series (R... / OEM-190-118 (2006) / Basic machine / BLADE 14.88"LG.